Famed human ancestor Lucy wasn't alone: Meet "Little Foot"
A mysterious ancient relative of humanity known as Little Foot apparently roamed the Earth at about the same time as the famed Lucy, suggesting the ancestors of humans may have existed with significant diversity across a good part of Africa, researchers say. This finding comes from evidence suggesting the mysterious human relative was buried some 3.7 million years ago, more recently than thought. This new date may one day help shed light on which region and which species gave rise to humanity, scientists added. It remains debated what kind of australopithecine Little Foot was. Many scientists think Little Foot was a member of Australopithecus africanus, which had a rounder skull housing a larger brain and smaller teeth than did Lucy and the rest of Australopithecus afarensis. However, Clarke and others suggest Little Foot belonged to another australopithecine known as Australopithecus prometheus, which had a longer, flatter face and larger cheek teeth thanAustralopithecus africanus. It was impossible to fit Little Foot into the human family tree with any certainty because "ever since its discovery, the age of Little Foot has been debated," said lead study author Darryl Granger, a geochronologist at Purdue University in West Lafayette, Indiana. If researchers can figure out when Little Foot arose, they might be able to better pinpoint which Australopithecus species and which part of Africa ultimately gave rise to Homo. Now, Granger and his colleagues have found evidence that Little Foot lived at about the same time as Lucy. Even so, the fossil doesn't give a definitive answer on Little Foot's species. "The most important implication from dating Little Foot is that we now know that australopithecines were in South Africa early in their evolution," Granger told Live Science. "This implies an evolutionary connection between South Africa and East Africa prior to the age of Little Foot, and with enough time for the australopithecine species to diverge." 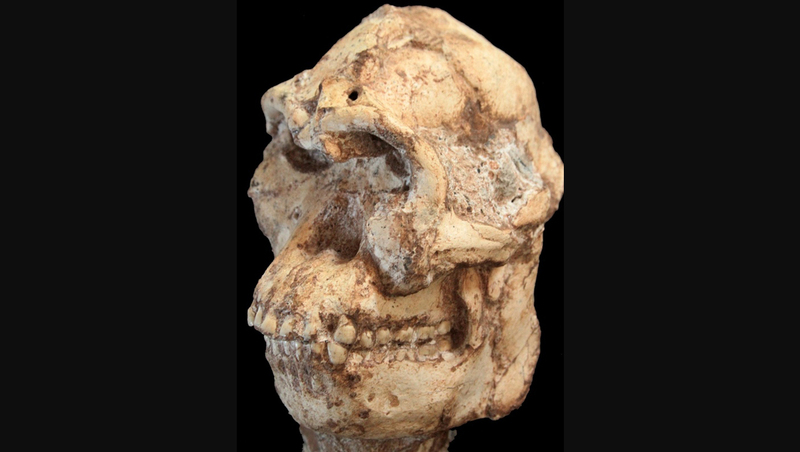 This in turn suggests that other australopithecines -- and, later, humans -- "did not all have to have derived fromAustralopithecus afarensis," Clarke told Live Science. "There could well have been many species of Australopithecusextending over a much wider area of Africa." The researchers first tried dating the age of Little Foot more than a decade ago "and got an age of around 4 million years, which would place Little Foot among the oldest of the australopithecines," Granger said. However, dating the age of fossils in caves is extraordinarily complicated because material can wash into a cave from the outside and easily confound analysis. When others dated the age of minerals known as flowstones near Little Foot, they found those cave formations originated about 2.2 million years ago. "I was disappointed, but I could see nothing wrong with their ages," Granger said. But a recent study found these nearby flowstones did not reflect Little Foot's age because they were not part of the same layer of rock that held the fossils and therefore did not form at the same time. In the new analysis, Granger and his colleagues pinpointed the fossil's age by measuring levels of aluminum and beryllium isotopes in quartz in the same rock layer as the skeleton. The researchers also found that the earliest stone tools in the same cave date back to about 2.2 million years ago. This is a similar age to early stone tools found elsewhere in eastern and southern Africa. "This implies a connection between South African and East African hominids that occurred soon after the appearance of stone tools," Granger said. The researchers said they hope that other sites around the world will now be dated using their method. "There should be a thorough study to explore the strengths and weaknesses of the method," Granger said. Granger, Clarke and their colleagues detailed their findings in the April 2 issue of the journal Nature.